Paraguay has one of the most homogeneous populations in South America; nearly all of its citizens today are of mixed Spanish and Guarani Indian descent. In the mid-1600s, though, the two populations had not yet been combined. In those days, Spain targeted the Guaranis for a colonial takeover. Sensing this (as well as an opportunity to spread their faith), the Catholic Order of the Jesuits made a deal with the Spanish crown: if Spain allowed them to oversee a vast region in Paraguay on which the Guaranis lived and agreed not to subject the Guaranis to the hard labor that other conquered tribes faced, the Jesuits would reward the Spanish monarch with generous tributes. 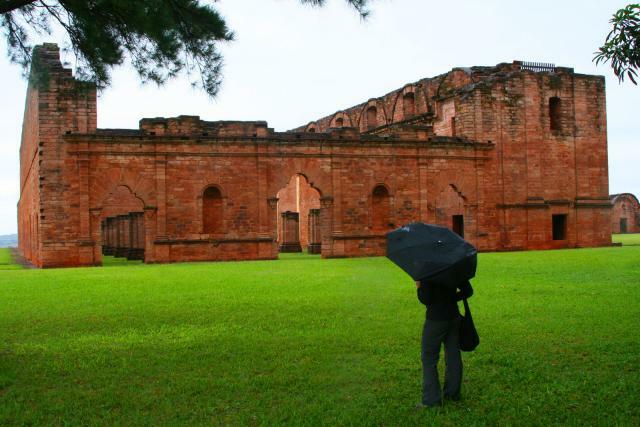 And thus began the construction of the Jesuit missions in Paraguay. Each one was laid out according to the same model—-a large, open square around which a church, a school, stores and houses for the Guarani people were situated. The missions operated as their own separate entities, almost completely independent from other parts of South America. 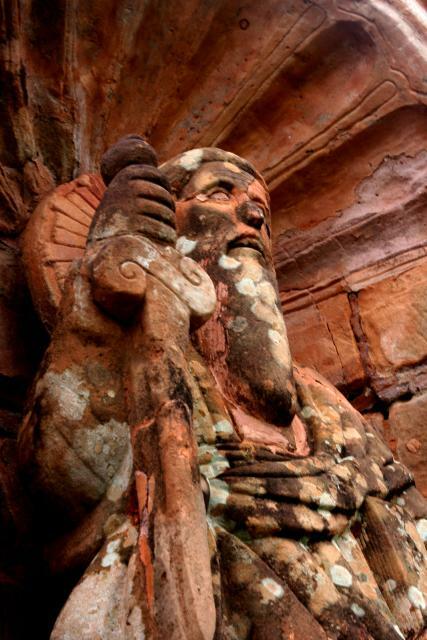 Within them, the Guaranis received education, skills training, religion and subjugation. They had few rights–indeed, the Jesuits acted a bit like their own colonial power. That the missions existed at all is a lesson in the power of persuasion. Each mission was run by only one or two priests. These individuals were responsible for convincing the Guaranis in their area to abandon their land and their traditional way of life and move onto the missions, where they would be subject to entirely different customs and made to follow foreign rules. Somehow (and, certainly, the threat from Spain that the Guaranis faced had something to do with it), just two men were able to convince about 5,000 Guaranis to go along with this plan—and that’s only on one mission! At their peak in the first half of the 18th century, between 100,000 and 300,000 Guaranis lived on about thirty South American missions. It all came to an end in 1767, though, when the Spanish monarchy (which was ostensibly jealous of the immense success of the thriving missions) tired of the missions’ existence and expelled the Jesuits. They departed peacefully, leaving the Guaranis to go it on their own. The missions are in ruins now, but they are slowly being restored. 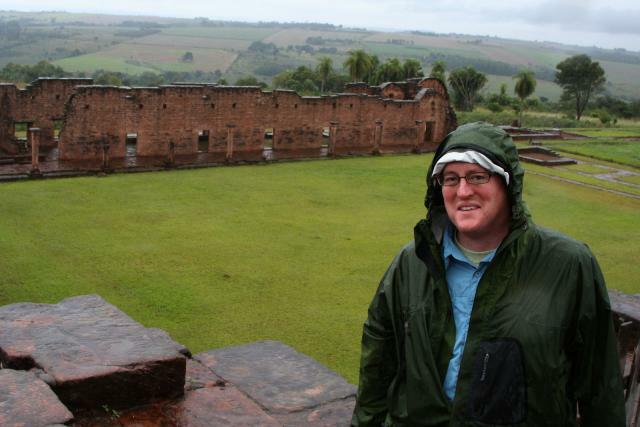 We visited two, Jesus and Trinidad, both of which are listed as UNESCO World Heritage sites. Although, today, the missions are a shadow of what they once were, we had a great guide at Trinidad, and he helped us to see the rubble for what it used to be: a culturally rich, potentially life-saving protectorate for an indigenous population that may not have survived without it.